A smile full of shiny, perfectly aligned teeth can work wonders for your confidence and oral health. Metal braces are among the most common orthodontic treatments used to improve the appearance and health of a smile. We offer the very latest in metal braces to our patients, making orthodontic treatment more comfortable and convenient than ever before. We offer metal braces designed of high quality stainless steel or titanium. Brackets are bonded to the teeth and connected using an archwire. The archwire is a thin metal wire, held into the brackets with a door that opens and closes. The brackets, arch wire, and elastics all come in different materials and colors, so there are still choices with metal braces to give you a personalized appearance. Once placed, metal braces put constant pressure on your teeth to help guide them into their proper position. During follow-up appointments, the archwire will be changed or adjusted, slowly correcting the teeth. The length of your treatment will depend on your individual case. Due to affordability and a proven reputation for success, metal braces are among the most popular treatment options. In fact, many of our patients choose this metal braces in our offices to correct a wide range of orthodontic issues. To find out if this method is right for you, call us to schedule your consultation with Dr. Couser today. You can feel confident when referring your friends and family to Couser Orthodontics. Our dedicated orthodontist and our orthodontic assistants are committed to ongoing education and stay at the forefront of the orthodontic profession. 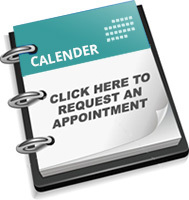 You can count on receiving personalized care that fits into your busy schedule.